Deciding to power its new Kindle Fire tablet with a custom version of Google’s Android operating system, Amazon knew that hackers and developers would look to achieve root on their devices and build upon its infrastructure. Today, that has been realised with the announcement that the Kindle Fire has been rooted using a simple one-click solution that will allow casual users to elevate their privileges on their tablet and possibly install custom software and ROMs. In the interests of maintaining the open nature of the Android platform, Amazon released the source code for the Kindle Fire, providing developers with the chance to build their own versions of the custom Android build used on the tablet. However, without root access, they would not be able to install their creations. With the device successfully rooted using a modified version of the SuperOneClick 2.2 tool, all barriers to installing custom software have been removed – which will be music to the ears of Android hackers and tech-savvy Kindle Fire owners across America. If you have purchased a Kindle Fire and are interested in rooting your tablet, follow the instructions on this Android Forums thread but doing so will invalidate any warranties or guarantees that came with the device, so be warned. 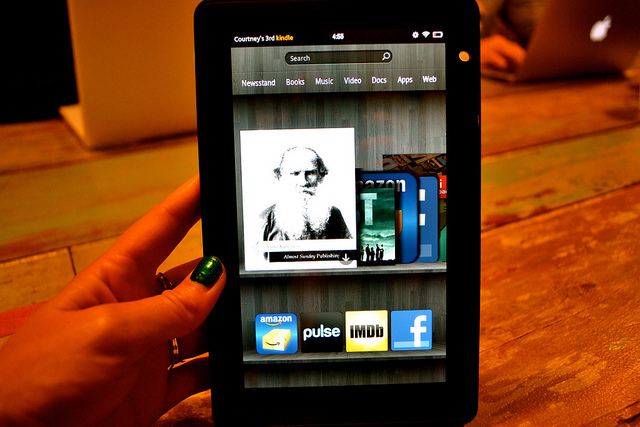 Want to know what we thought of the Kindle Fire? Why not read our review of Amazon’s new tablet?